Lake Zurich, Ill., Feb. 15, 2018 ⎯ According to a recent industry report, growth in electric floor heating in 2017 was largely driven by sales of floor heating cables paired with uncoupling membranes. 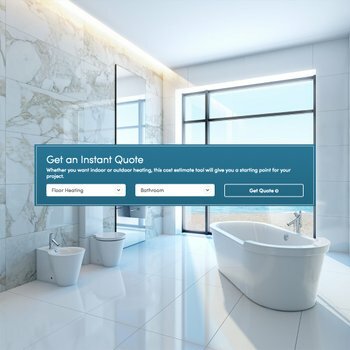 WarmlyYours, a radiant heating company that specializes in electric floor heating systems, released their "2017 Fourth Quarter and Annual Industry Report" earlier this week. 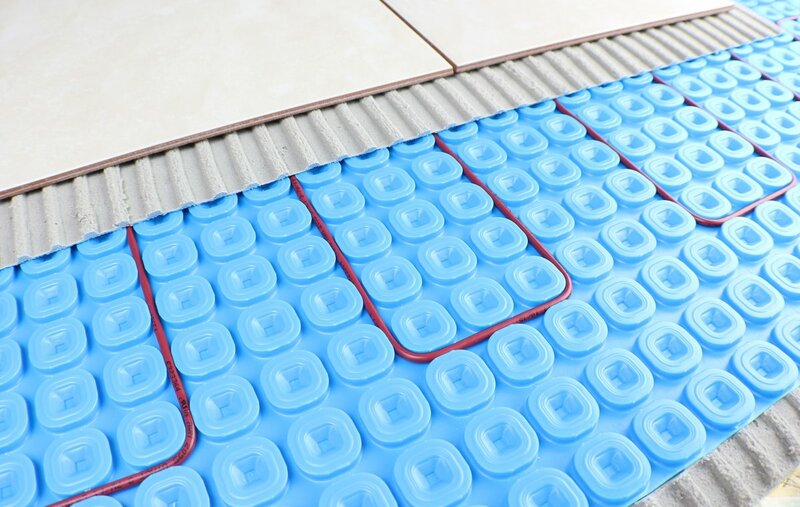 One of the report's chief findings is that cable based floor heating systems, particularly those paired with an uncoupling membrane, were responsible for a huge chunk of sales growth in 2017. According to the report, sales of TempZone Floor Heating Cable grew 45.7% last year--a rate that shows no signs of slowing in 2018. The Prodeso Cable Installation Membrane that is designed to be installed with floor heating cables also saw significant growth in 2017. Sales of the membrane were up 53.4% when compared to 2016. 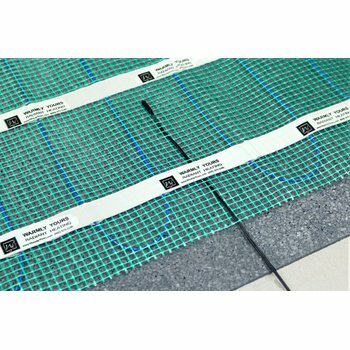 Part of the membrane's success is attributable to its popularity with both homeowners and trade professionals, due to the speed of its installation and the long lasting benefits it provides for tile floors. In addition the report analyzed the impact of both housing and remodeling activities at the national level and how those markets impacted sales of radiant heating products. In 2017, most remodeling an home-selling activity was flat due to a shortage of available housing units in much of the country. However, according to the Leading Indicator of Remodeling Activity (LIRA), a quarterly publication released by the Joint Center for Housing Studies of Harvard University that was analyzed in the WarmlyYours report, projects some growth in remodeling activity in the first quarter of 2018 and then a relative flattening of activity until Q4, when consumer expenditures on remodeling activity will accelerate to 7.5%, a level that hasn’t been seen since before the Great Recession. WarmlyYours also offered their Q1 2018 projections for radiant heating sales growth. The company expects to show sizable growth in three major metropolitan markets: New York; Washington, D.C.; and Los Angeles at 10%, 6%, and 25% growth respectively. In addition to early first quarter sales and historical performance, Julia Billen, president and owner of WarmlyYours, said that rising national wages (up 2.9% in January 2018 vs. January 2017) will play a major role in radiant heating growth in these markets. For more information, visit www.WarmlyYours.com. Hi-res images are available upon request. For nearly 20 years, WarmlyYours Radiant Heating has offered the industry’s most innovative solutions in radiant heating technology, from our flagship floor- heating systems and radiant wall panels to snow-melting systems, as well as comfort products, including towel warmers, mirror defoggers, shower floor and bench heating, and countertop heaters. With locations in the United States and Canada, WarmlyYours provides unrivaled personalized customer support from start to finish, featuring measuring and design services, 24/7 technical support, and our No Nonsense™ Warranty. 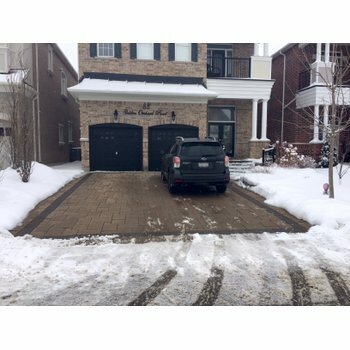 For more information, visit www.WarmlyYours.com.